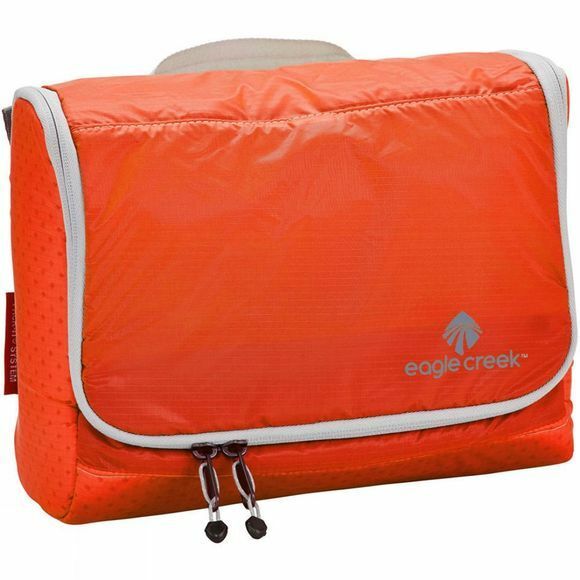 The Eagle Creek Spectre on board, makes a great toiletry bag. An ultra lightweight toiletry kit with multiple organizer pockets and a swivel hook for easy hanging and access. Made from Silnylon, this translucent fabric is the same fabric used for lightweight tents and backpacks. Its super-durable, stain and water-repellent. Finally, organization in just the size you need. Provide customization and space savings for any backpack, day bag or piece of luggage.